A boy who has a bad Christmas ends up accidentally summoning a Christmas demon to his family home. The Buzz: Chances are Trick 'r Treat director Michael Dougherty has another cult hit on his hands at the very least with this holiday horror story, which is only rated PG-13, sadly. Of course that might mean a more explicit version is waiting in the DVD/Blu-ray wings? The Buzz: Looks like a finely tuned release is in store for this hagiography that seems to be a campaign for Mother Teresa posthumous canonization as it steers clear of all of the controversial aspects of her life and work. 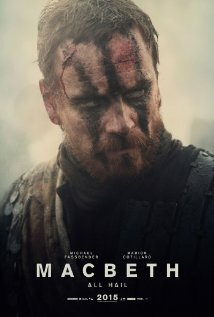 Macbeth, a Thane of Scotland, receives a prophecy from a trio of witches that one day he will become King of Scotland. Consumed by ambition and spurred to action by his wife, Macbeth murders his king and takes the throne for himself. The Buzz: We hear this film's style threatens to overwhelm its substance at any and every moment, and that's one of many reasons we've been driven mad with anticipation for Justin Kurzel's follow-up to Snowtown. The Buzz: Underrated director Julian Jarrold has assembled one of the more appealing casts of the year for what seems to be a feather-light but imminently watchable slice of royal-girl fantasy. congratulations to star Bel Powley for her breakout year with The Diary of a Teenage Girl, a performance for which she just won a Gotham Award. The Buzz: Apparently Tetsuya Nakashima's take on Akio Fukamachi's novel is a brutal endurance test anchored by Koji Yakusho's performance as a broken former police detective who returns to action after a triple murder and the disappearance of his estranged daughter. In fact, we understand Yakusho's character is the only thing that keeps the viewer from falling into an abyss. In other words: Kanako has been up to some particularly nasty business. The Buzz: A Letter to Elia documentarian Kent Jones deepens his focus on great directors with his latest project, which played well at Cannes and other fests. The Buzz: Holiday-themed movies haven't caught on with audiences yet this season, so we're unsure how this ensemble comedy will perform, though it seems to be made for Faith audiences but marketed as a movie for one and all. No matter the subject matter, we love that Patrick Stewart has been spending time on the big and small screens this year, though. The Buzz: While we all await the fate of Jon Snow, Kit Harington pairs up with Peter Firth, star of the long-running BBC One series "MI-5" for a continuation of the show that arrives on the heels of real-life terrorist attacks in Europe and Asia. Jennifer Ehle also has a lead role in the film, though you wouldn't know that from the marketing. Based on the 1820 event, a whaling ship is preyed upon by a sperm whale, stranding its crew at sea for 90 days, thousands of miles from home. The Buzz: Maggie Smith segues from "Downton Abbey" to revisit a role she has famously played on stage and on the radio. With stage and screen director Nicholas Hytner guiding the way, we wouldn't be surprised if the story of Miss Shepherd enjoys a breakout success. We're happy to see that the wonderfully talented Alex Jennings in the role of playwright Alan Bennett. The Buzz: Director Jared Hess and his co-writer and wife Jerusha's new comedy doesn't seem as outlandish as Gentlemen Broncos, which is a good thing according to the fair-minded reviewers we've encountered who caught Don Verdean on the festival circuit and were pleasantly surprised by it. Our hunch that Jemaine Clement makes it all worthwhile seems to be correct, though. Also, note that Jared directed Masterminds, the heist comedy that has been sidelined by the studio Relativity Media's bankruptcy saga and had its release date yanked (more than once). The Buzz: Ale Abreu's animated tale, thematically concerned with globalization, was the big winner at this year's Annecy Awards (which were held back in the summer). Is an Oscar nomination next? The Buzz: Zosia Mamet, known to many as Shosh on "Girls," plays a bad girl named Shiva in this thriller from indie writer/director Diane Bell that looks subtlety in the face and laughs wickedly. In the horror of 1944 Auschwitz, a prisoner forced to burn the corpses of his own people finds moral survival upon trying to salvage from the flames the body of a boy he takes for his son. A young FBI agent infiltrates an extraordinary team of extreme sports athletes he suspects of masterminding a string of unprecedented, sophisticated corporate heists. "Point Break" is inspired by the classic 1991 hit. baca juga 10 film thailand remaja romantis terbaik buat nambah koleksi film kamu. 2 Komentar untuk "30 Film Barat Terbaru yang Rilis Bulan Desember 2015"
terimakasih daftar2 filmnya gan , bisa saya tonton nanti salah satunya ..